Sausages There are 39 products. 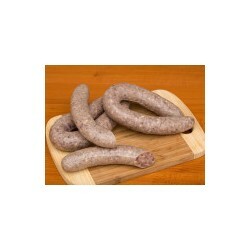 Catalan sausages, craftsmen, are made with fresh pork that transforms from different processes seasoning, ripening, drying, etc. These processes do vary the characteristics of the initial meat and enhance the aroma, flavor, texture and color. Following traditional production recipes. Typical Catalan sausage, salami, black and white bull, chorizo, sausage, all of the highest quality. 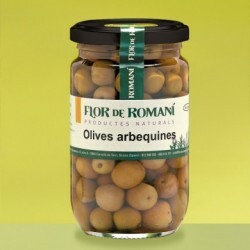 It is usually eaten with tomato bread, in salads or hors d'oeuvres. Approximate weight between 550D and 600 grams, vacuum-packed, good texture and tasty. Sausage, lean pork shoulder, ham and belly cuts. The healing time is approximately two months.The short piece to sell entire range between 300 and 350 grams, must be preserved in a cool, dry, and expires 12 months from date of manufacture. 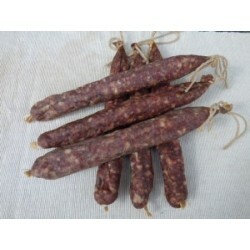 Sausage made -Vilallonga Can Blanch de Ter.Very good, ingredients are pork shoulder and ham, salt and pepper.No gluten.Perfect for breakfast and dinner with a good toast. "Llonganissa extra" .Sausage, lean pork shoulder, ham and belly cuts.The short piece to sell entire range between 480 and 530 grams, must be preserved in a cool, dry, and expires 12 months from date of manufacture. 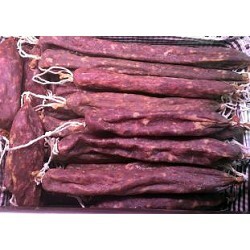 "Llonganissa".Sausage with more pepper , made -Vilallonga Can Blanch de Ter. Very good, to the point of pepper, its ingredients are pork shoulder and ham, salt and pepper. No gluten. Perfect for breakfast and dinner with a good toast. Authentic duck, very good taste. Ideal for salads, toasted.Served vacuum, all the whole duck to go when you need to cut.It weighs approximately 250 grams. Spicy sausage middle. Made -Vilallonga Can Blanch de Ter.Very tasty, but for a spicy chorizo extra ingredients are pork shoulder and ham, salt and pepper.No gluten.Perfect for breakfast and dinner with a good toast. Extra sausage, made -Vilallonga Can Blanch de Ter.Very tasty, its ingredients are pork shoulder and ham, salt and pepper.No gluten.Perfect for breakfast and dinner with a good toast. Sausage done with clipping of streaky bacon, lean pig meat and selection of red peppers. It appers in medium-sized measurement, abaout 150 grs. It's necessary to preserve it in fresh and dry places. His expiration is of 6 months. 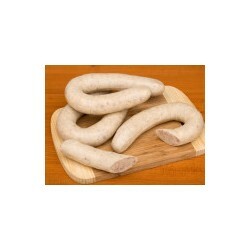 Made from different parts of boiled cooked pork and sausages so that their consumption.